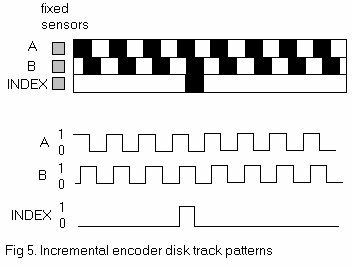 A digital optical encoder is a device that converts motion into a sequence of digital pulses. By counting a single bit or by decoding a set of bits, the pulses can be converted to relative or absolute position measurements. 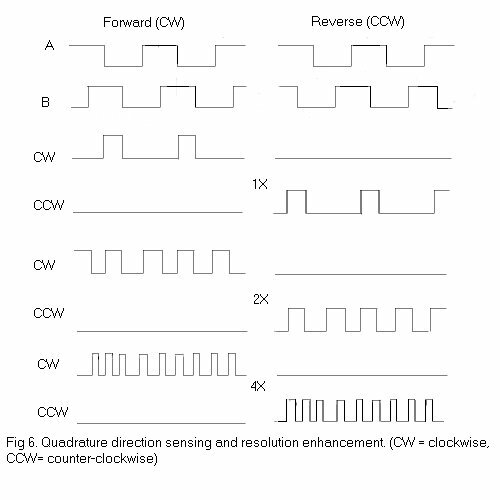 Encoders have both linear and rotary configurations, but the most common type is rotary. Rotary encoders are manufactured in two basic forms: the absolute encoder where a unique digital word corresponds to each rotational position of the shaft, and the incremental encoder, which produces digital pulses as the shaft rotates, allowing measurement of relative position of shaft. 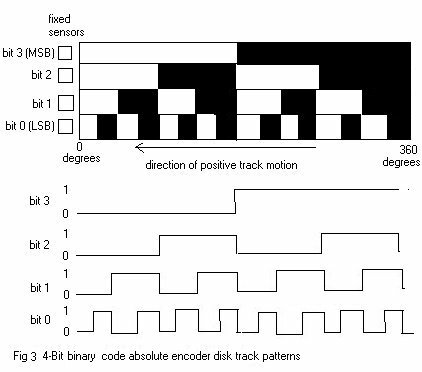 Most rotary encoders are composed of a glass or plastic code disk with a photographically deposited radial pattern organized in tracks. 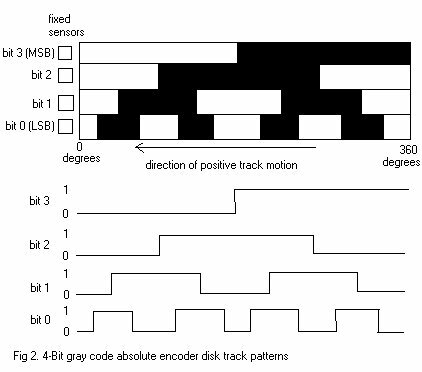 As radial lines in each track interrupt the beam between a photoemitter-detector pair, digital pulses are produced.